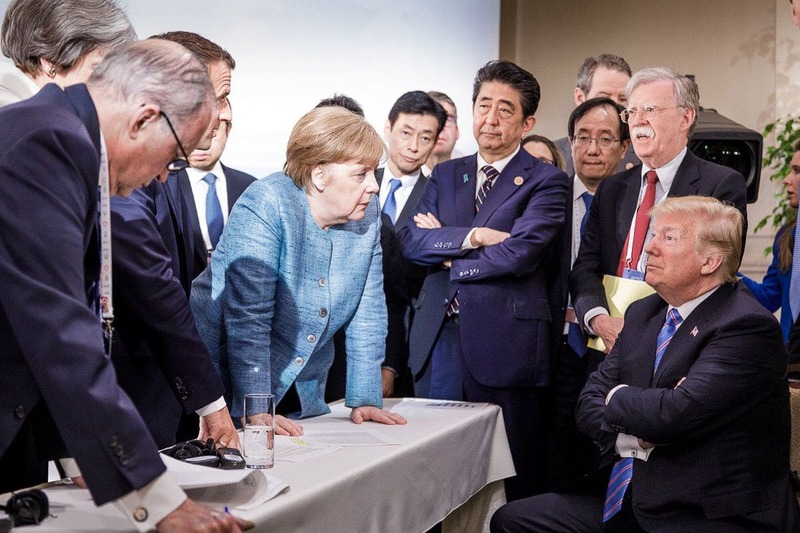 Trade has been a large component of the weekend news blather due to the G-7 Comedy Revue hosted by Canada with President Trump leading the charge against America’s allies. After being lambasted by the leaders of the G-7 countries for increasing tariffs against them, Trump dropped a couple of bombs. The first was the suggestion that maybe Russia should rejoin the group, causing spasms in anti-Trump Muellerites (“I knew it! Got ‘em!”). And the second was that maybe the G-7 shouldn’t have any tariffs or subsidies between them at all. With that, Trump drops the mic, says peace out losers, I’m going to Singapore to bring global peace…later. Somehow, Trump manages to turn it around, after being criticized as a protectionist; he leaves the G-7 meeting dropping the most free trade friendly proposal ever, leaving it to the establishment class to explain why Trump’s protectionism is bad, but that Trump’s free trade ideas are also bad because…TRUMP! Although the Singapore summit may drown out a lot of the usual media backlash to Trump’s G-7 smack down, it’s hard to not be in awe of how Trump turned the criticism of him on trade right back on the other members of the G-7, demanding they liberalize their economies. Something of course, they have no intention of doing, thereby illustrating Trump’s point that free trade isn’t free trade if it only runs one way. And in a related trade note, that standard bearer of the conventional wisdom, The Atlantic, ran a piece Friday called, Normalizing Trade Relations with China Was a Mistake. Admittedly, it was written by Reihan Salam, The Atlantic’s one of two token conservatives remaining (after giving Kevin Williamson the boot), but I thought it was interesting that Atlantic Editor in Chief Jeffery Goldberg retweeted the article, calling it “bracing.” Goldberg is as conventional wisdom as conventional wisdom gets, and if he’s willing to take another look at a position that he’s slavishly supported for years, that may signal the beginning of the establishment looking at trade Trump’s way, rather than K Street’s way. That would be big. More winning?